THE Ongwediva Town Council is reportedly still being dishonest regarding the portion of land belonging to Lukas Haivela Johannes that somehow ended up under the ownership of Stantoll Properties, a company owned by northern businessman Ben Zaaruka. The seeming underhanded deal, which was concluded in 2010, has left a bitter taste in the mouth of Johannes, who, years later is still seeking for answers from Town Council. 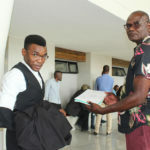 Spokesperson of the family, who is also a youth activist, Tangy Mike Tshilongo, recently wrote a letter to the Ongwediva town council over the ongoing matter. “We have given them 30 days to revert back to us on the matter, failure to do so will result in a demonstration,” said Tshilongo. According to him, the Johannes family has no problem with accepting a compensation, but that they want the town council to admit negligence and explain why the family wasn’t consulted in 2010 when the piece of land was sold. “The family has no problem with being paid, but we want council to clear the mess that that is the result of negligence on their part,” noted Tshilongo. The land dispute between Johannes and Stantoll Properties was heard in the Oshakati High Court last year. 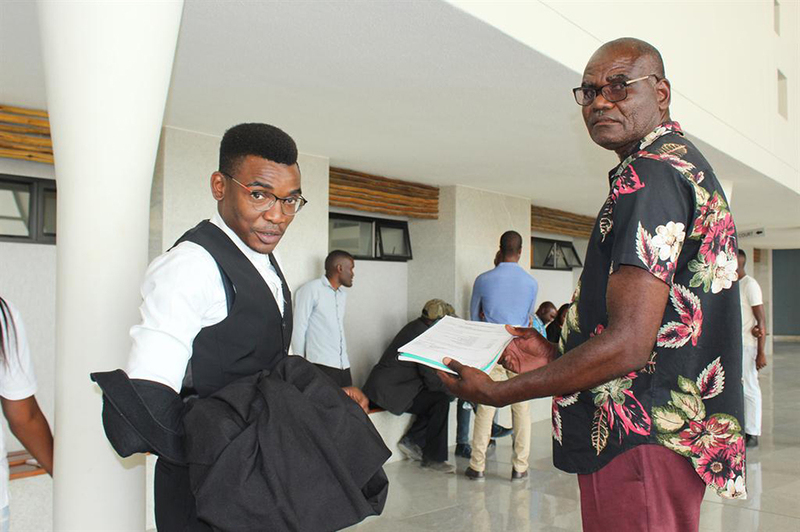 At the time, Zaaruka had applied for an interdict to prevent the family from interfering with construction work at his shopping mall for the extension of the Oshana shopping centre that covers about five hectares of what used to be the family’s mahangu field. The family claims that they were never compensated for the land despite the council receiving about N$1.4 million from Zaaruka as payment for the land. Negotiations over compensation were unsuccessful, despite council claiming the matter was resolved. According to a letter dated 4 April 2018, town council CEO Damian Egumbo informed the family that the council was prepared to pay them closed to N$982 000 for the land it had sold to Stantoll Properties. “Kindly receive the final compensation offer of N$981 821.75 of the portion of the field affected by Oshana Mall phase 2 development. This offer is a combination of the first offer of N$149 446.50, second offer of N$836 390.90 and the last assessment carried out,” the letter reads. When contacted for comment, Ongwediva spokesperson, Jackson Muma, said the council was waiting for the Johannes family to sign all necessary documents in their possession for payment to be done. “We have settled the matter with the family already and are only waiting for them to sign document where their banking details are needed for payment to be done,” Muma said.